Hope you all can recall the name of renowned director of Hollywood, Ridley Scott. He is the one who delivered some memorable blockbusters as well as big budget movies like Kingdom of Heaven and Gladiator. This time he made the film Exodus: Gods And Kings as tale of Moses. It is predicted that this film is last in the list of historical drama based films for this year. It’s a fact that this film is definitely the best directed film so far in this category for the year. The character of Bithia played by Hiam Abbass is daughter of Pharaoh Seti I, played by John Turturro. Bithia, was taking a bath in the river Nile one day when she noticed a floating basket in the river carrying a baby. She got attracted towards the baby and decided to take the infant baby with him. She did exactly that what she thought. She gave the baby her name and raised him after naming him Moses. The upbringing was royal in every sense for Moses, played by Christian Bale. He shared a competitive as well as an affectionate relationship with step Brother Pharaoh-to-be Ramesses II played by Joel Edgerton. When the day came for crowning, Ramesses was crowned as Pharaoh and he made his brother Moses the chief adviser. While making a visit to one of the construction sites Moses got to know a striking truth of his life. He met a Hebrew person near the site named Nun, who gave the information that by birth he is not an Egyptian but a Hebrew. He is just among those classes of people who work day and night to create the grand monuments of the Pharaoh. Moses denied to accept this, but life gave him a twist when Ramesses came to know about him and he straight away send him to exile. Let the rest of the sorry remain untold for the viewers. Starting with the screenplay- We can say it’s not excellent but yes, good. Costumes, sets, star selection and overall presentation will definitely make the audiences satisfied. The plus point in this film is the performance of Bale and Edgerton only. Amazing performance by both these stars made their roles seem real to the audience. This film will appear fantastic in the first half but with the start of second half there will be change in view as it will be difficult to understand the real meaning. 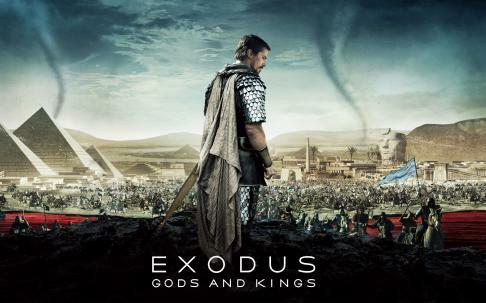 A perfect one time movie, nothing more than that is Exodus: Gods And Kings.